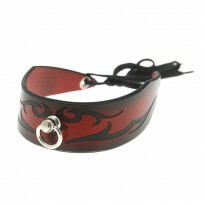 Crafted in the dungeons of the mysterious House of Eros, this leather collar will force you or a partner to submit to the others beck and call. A metal, D shaped ring on the front of the collar is ideal for attaching a lead or hook clasp, leaving the wearer no choice but to obey their master and satisfy their dark desires. 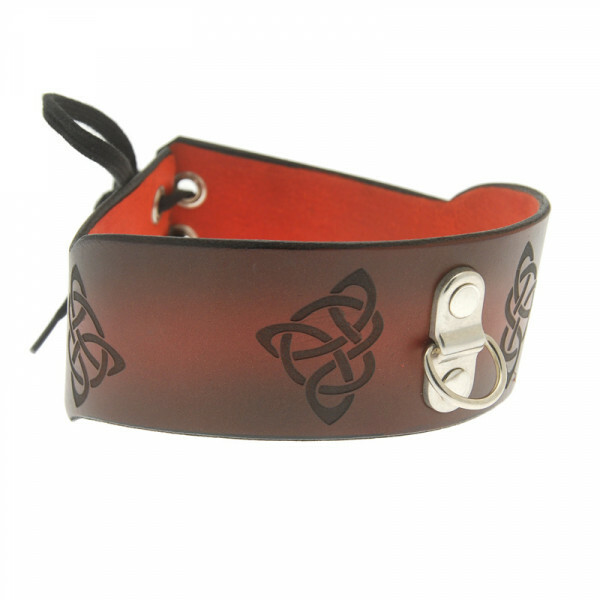 The rich, burnt red design, complete with Celtic engraving, adds to the twisted fantasy by creating an aura of pagan, primitive lust, while the leather feels luxurious against the wearers skin.